Salesian Youth Event of the Year! OzBosco is a weekend of Joy, Fun, Friends, Faith and Festivity, with special guest speakers, workshops, Prayer and Liturgy, group sessions, and a variety of recreational activities. is the latest book by Fr Peter Varengo SDB. This book and many other good Salesian books are available in our online BookShop. Each year Fr Ángel Fernández Artime SDB, Rector Major of the Salesians publishes a Strenna. 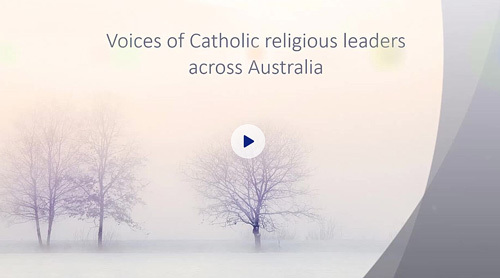 "So that my joy may be in you"
Together with all Catholic religious across Australia, we the Salesians recognise pain and sufferings of survivors and secondary victims of institutional child abuse, and we pledge a commitment for a much better future. We promise a safe way forward for all, especially the young and vulnerable adults in our care. Greetings from Fr Ángel Fernández Artime the Rector Major of the Salesians of Don Bosco to all Young People around the world on the accasion of the Feast of St John Bosco, January 31st, 2019. "So that my joy may be in you "
The Salesian Youth Event of the Year, held at Don Bosco Camp, Safety Beach Victoria. OzBosco is a weekend of Joy, Fun, Friends, Faith and Festivity, with special guest speakers, workshops, Prayer and Liturgy, group sessions, and a variety of recreational activities. Open for young people from 15 – 25. The Autumn edition comes as a reminder that there is goodness all around us. Featuring personal reflections by Michael Gartland on his overseas travels and Sisters Iutita Kasio and Salome Faloamae on their first professions. As pictured on the cover, it also includes a report on the recent World Youth Day, as well as the recent summer camps around Australia. Father, forgive them! … "This man was innocent"
Each of the four Gospels tells the story of the Passion of Jesus. But they each tell it in their own way, in an attempt to explain what Jesus' death means for us. Luke's story is highlighted by Jesus' compassion, forgiveness, the missioning of the Church, and above all, the message that Jesus is innocent, someone who does not save himself, but gives his life for others. Presented by world-renowned biblical scholar Rev. 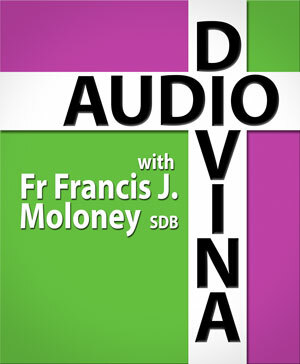 Professor Francis J. Moloney SDB AM, Audio Divina, is a Lectio-Divina styled reflection on the gospel for Passion Sunday of Lent, Year C.